Our military combat helmets and demining helmets are, of course, tough enough to do the job under pressure but light and comfortable enough for continuous wear. Intelligent Armour has supplied ballistic helmets to the FCO, HMRC, DFID, Jersey Customs and Excise and the Singapore Police, plus UK Special Foreces units. A number of our ballistic helmet models also allow for the comfortable simultaneous use of Headsets etc..
For helmets similar to GENTEX helmets please see our MACH range - made in the UK. Combat Helmet, aerodynamic helmet used throughout the world. 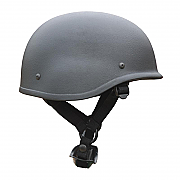 The Combat Helmet style is used throughout the world due to its compact, aerodynamic profile and light weight. This has only been achieved by combining high ballistic performance, low weight and comfort. 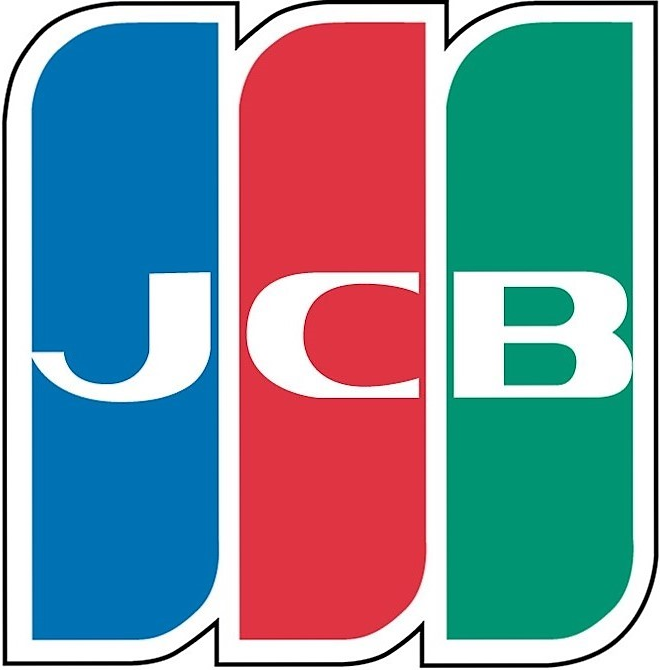 Qualities that have been achieved by using unique materials, processing methods and design facilities. 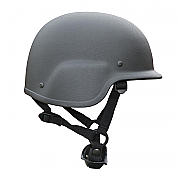 Defender Military Helmet, ballistic helmet with a unique style and comfortable fit. 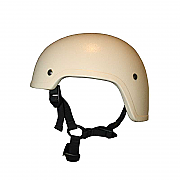 The Defender Military Helmet is a unique style of ballistic helmet, which introduces improved comfort and fit when using ear defenders. In addition to the same high anti ballistic and impact trauma protection properties afforded by the other combat helmets in the range, the Defender Military Helmet features full compatibility with circum-aural ear defenders such as the Peltor H61 F and the Davies CT 100. 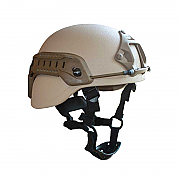 Team Wendy EPIC Air Combat Helmet Liner System, professional impact protection for military and police ballistic helmets. 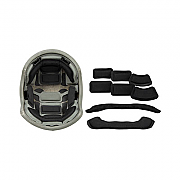 The Team Wendy EPIC Air™ Combat Helmet Liner System takes protection to a whole new level. EPIC Air™ features the unsurpassed level of impact protection you expect from a Team Wendy Zorbium® helmet liner, with new features that greatly improve comfort, fit and stability. The Team Wendy design incorporates three main pads (front, rear and crown) for impact protection, an assortment of new ergonomically designed comfort pads and patent-pending Air Channeling™ technology to keep you cooler. 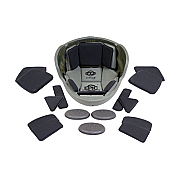 EPIC Air™ also comes in a variety of cuts and sizes to fit any style of ground combat helmet and is compatible with all styles of communications headsets. EPIC™ consists of a single, one-piece protective impact liner, 22 additional soft comfort pads provided in four shapes (oblong, trapezoid, tapered trapezoid, and triangle) and two thicknesses (3/16-inch “thin” and 3/8-inch “thick”). The comfort pad set also includes four Ultra Grip™ pads for added stability and two “wringable” sweat bands for moisture absorption. EPIC™’s design offers a significant increase in protection at high-G impacts without adversely affecting weight or heat dissipation. IA Multicam Helmet Cover. 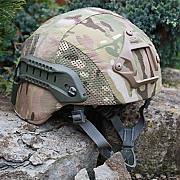 Intelligent Armour Limited recently received a commission to produce a Multicam helmet cover for a MICH style helmet with Ops-Core VAS Shroud and Ops-Core Rails. Crye 2-Way stretch NanoShpere® Multicam and Multicam mesh (sides) and Velcro loop (top and rear). The MACH range is aimed at the Military and Police special tactical units and Close Protection Teams where compatibility with all NVG and communication systems are of critical importance along with wearer comfort. 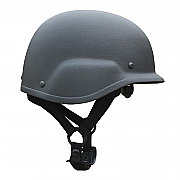 The Military Advanced Combat Helmet MACH 1 only weighs 1090g in size large, this is a great reduction in overall weight compared to other ballistic combat military helmets at NIJ IIIA protection. The MACH range is aimed at the Military and Police special tactical units and close protection teams, Intelligent Armour have upgraded our standard Military Advanced Combat Helmet MACH 1 and added Ops-Core 2010 ACH-ARC Kit & Ops-Core VAS Shroud to enhance compatibility with all NVG and communication systems. Military Advanced Combat Helmet MACH 2. Military Advanced Combat Helmet MACH 2 + Ops-Core. 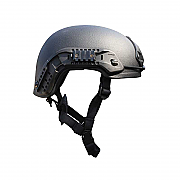 The MACH range is aimed at the Military and Police special tactical units and close protection teams, Intelligent Armour have upgraded our standard Military Advanced Combat Helmet MACH 2 and added Ops-Core 2010 ACH-ARC Kit & Ops-Core VAS Shroud to enhance compatibility with all NVG and communication systems. Military Advanced Combat Helmet MACH 3. The MACH range is aimed at the Military and Police special tactical units and Close Protection Teams where compatibility with all NV and communication systems is of critical importance along with wearer comfort. The MACH range is aimed at the Military and Police special tactical units and close protection teams, Intelligent Armour have upgraded our standard Military Advanced Combat Helmet MACH 3 and added Ops-Core 2010 ACH-ARC Kit and Ops-Core VAS Shroud to enhance compatibility with all NVG and communication systems. 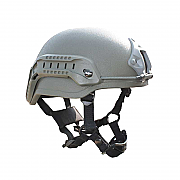 The Military Advanced Combat Helmet MACH 3 + Ops-Core has been developed to aid overall movement, the MACH 3 Helmet is ideal for vehicle crews and for Special Forces. 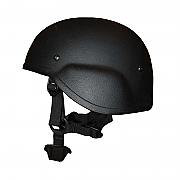 We have also supplied these ballistic helmets to maritime security teams and in January 2012 Intelligent Armour won the tender with the Singapore Police, to supply lightweight ballistic helmets; they choose the MACH 3 over five different brands. 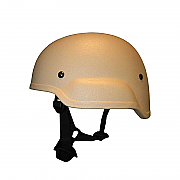 PAS-TAC tactical helmet is very similar in design to that of the PASGT tactical helmet, but the slight reduction in overall cover provides for a 7% saving in weight. 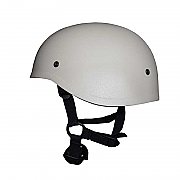 This ensures the helmet is more compact and better balanced for wearer comfort over longer periods.